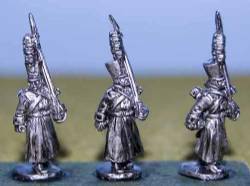 15mm scale - There are 10 figures per pack. 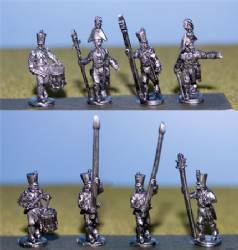 Command pack consists of 4 Standardbearers, 2 Sergeants, 2 Drummers and 2 Officers. 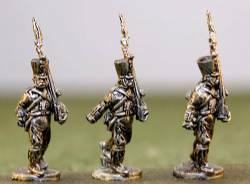 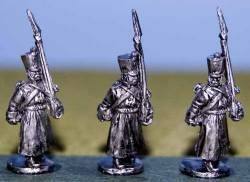 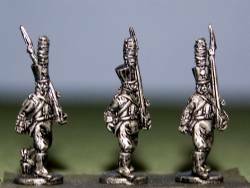 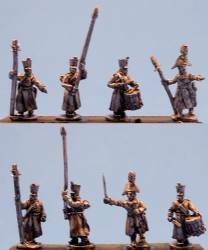 15mm scale - There are 10 figures per pack consisting of: 4 Standardbearers, 2 Sergeants, 2 Drummers and 2 Officers. 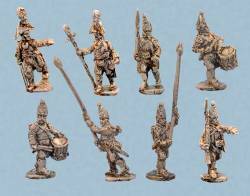 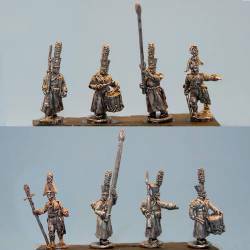 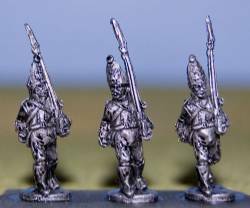 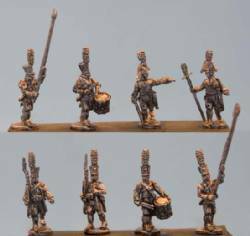 15mm scale - There are 10 figures per pack consisting of 2 Officer, 2 Sergeant, 2 Drummers and 4 Standard Bearers.